Everyone deserves to be treated with dignity and respect; especially those loved ones in our lives who have spent the majority of their own lives working hard to provide us with our base needs and the opportunity to excel. When negligent nursing care results in the untimely death of someone you care deeply for, it is your right to demand answers, accountability and justice. The nursing home abuse and neglect attorneys of Nursing Home Law Center LLC pursue justice against those facilities and staff members whose disregard for others results in needless and premature deaths and will work tirelessly to ensure you receive the answers and justice that you deserve following your loved one’s passing. There are many things that can go wrong in medical settings, but the simple truth is that most of those things can be prevented with proper preparation, supervision and training. Nursing staff should be aware of each patient’s potential risk factors, complications and needs so that they can provide effective treatment. Some of the most common causes for untimely nursing home deaths that our nursing home injury lawyers encounter include the following. Medication errors — prescription and dosing errors are extremely common, unfortunately. While most of them result in minor discomfort or complications, others can have disastrous consequences. If a patient is prescribed a medication that reacts adversely with another he or she is already on, has an allergic reaction to a drug or is given the wrong dose of a medication such as a blood thinner or blood pressure medication, it can easily lead to death. Infections — there are many causes for infections in nursing homes and they are often the result of a different concern. Poor hygiene, ineffective disease prevention methods and poor food preparation methods can spread disease throughout a nursing home, including serious infections. Other injuries may also lead to infection, such as when pressure sores become infected or when the infection results from an operative procedure. Once an infection begins to spread to other areas of the body, it can become uncontrollable and lead to major organ failure and death. Dehydration or malnourishment — the complications that can arise from poor nutrition and hydration may lead to death. There have been instances in which severely understaffed nursing facilities have been unable to provide three meals a day to residents and it is completely inexcusable that a patient die prematurely because he or she was not provided the fluids and food needed to remain healthy. Choking — some patients are at a higher risk of choking than others and it is up to the nursing staff to assess each patient’s choking risk upon admittance. The majority of choking accidents can be prevented and occur because the victim was eating unsupervised or unassisted. Injuries resulting in loss of mobility — falls or accidents that result in fractures to the legs, hips or knees can greatly reduce the life expectancy of the victim. Studies have shown a strong link between hip fractures and loss of life and it is suspected that this is due to complications that often accompany loss of mobility. The inability for a patient to move under his or her own power can have an impact on hygiene, pain management, bedsore and infection risk and more. Traumatic brain injuries — if the victim has suffered a fall, it is possible that he or she may have struck his or her head on an object or the ground, resulting in a debilitating injury to the head. These traumatic injuries can result in permanent brain damage or the death of the patient if the accident resulted in uncontrolled hemorrhaging inside of the brain. If you have lost a loved one and believe that his or her caregivers’ irresponsible or negligent actions were what caused the accident or injuries leading to your loved one’s death, you may be entitled to compensation for wrongful death. While a wrongful death lawsuit will not bring your loved one back and no value can be placed on his or her life, it will help promote change by deterring nursing homes from continuing to treat other patients in a similar manner. 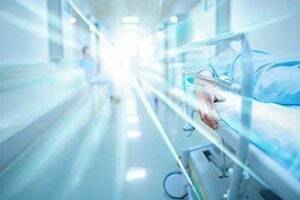 Many questions arise when clients approach our nursing home injury lawyers about pursing wrongful death litigation which include the following. Who may file the lawsuit? If the deceased left behind a spouse, his or her spouse would be able to file the lawsuit on behalf of the victim, but if the victim has no spouse, the claim may be filed by the remaining survivors of the deceased’s estate. Every state has different laws regarding who may file, so if you would like to know which members of your family may pursue the lawsuit, you should speak with an attorney. What compensation is my family entitled to? In addition to damages for the loss of consortium, or companionship, wrongful death claim damages include the cost of medical treatment prior to death, compensation for the cost of a funeral and burial, the determined value of the victim’s pain and suffering and the loss of valuable wisdom and guidance the deceased may have provided his or her family. Nursing Home Law Center LLC is a leading provider of award winning legal services throughout the country. We have a special team of attorneys dedicated solely to the pursuit of compensation on behalf of those who have been injured or lost loved ones due to negligent nursing care. This team has the extensive knowledge and history of success you need to guarantee your greatest chance of recovering the maximum amount of compensation allowed by law. Contact us today to arrange a free consultation with one of our qualified nursing home abuse and neglect attorneys so that we can collect the information we need to evaluate your case and advise you on your legal rights and options. If we are unable to secure compensation on your behalf for any reason, you will not be required to pay a thing for our services.